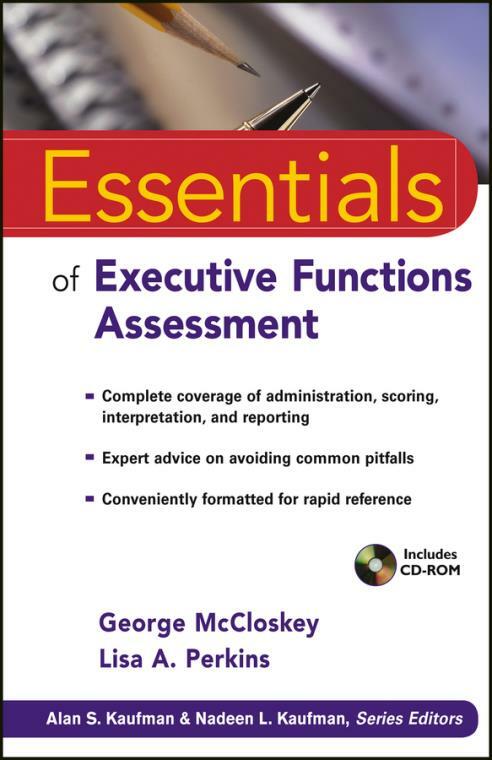 Essentials of Executive Functions Assessment is designed for professionals who want to learn how to administer, score, and interpret popular assessments of executive functions, including the Wisconsin Card Sorting Test (WCST), the Behavior Rating Inventory of Executive Functions (BRIEF, BRIEF–SR), the Delis–Kaplan Executive Function System (D–KEFS), and the NEPSY–II, among others. Executive functions experts George McCloskey and Lisa Perkins also provide general techniques that can be used to interpret aspects of executive functions using tests that are not specifically designed as measures of executive functions. The book′s accompanying CD–ROM contains interview forms for parents and teachers, student observation forms, reference material on the BRIEF® and other rating scales, case–study reference material, and several sample psychoeducational assessment reports.